Ian,a young boy,Commander Cody and Yoda must go to rescue the secret battle plans.However,when substitute teacher C-3PO and a class of padawans go too,things become more complicated.... It was on July 22, 2011. Weeks before, I'd seen commercials on TV, as well as the internet about a Lego Star Wars TV Special. At first I thought it was going to be a series, but I later learned it was a one-time thing. In the days before it aired, I was as hyped as can be. Lego and Star Wars were (and still are) my favorite things, and I would not have missed it for the world. So it was sometime in the afternoon, around 3 or 4 o'clock in the afternoon if I remember correctly. And while I was watching the whole thing, I was loving every minute of it. Largely, it's the small things that make it so great. For example, when they're flying by a ship with Anakin fighting Greviious, and a Padawan snaps a picture, I was laughing out loud. Another part I really liked, was when young Han Solo first appeared. At first, I seriously didn't know who it was. And throughout the course of the special, I kept thinking, "who is that?". At first, I actually thought it was young Luke Skywalker. But at the end, when I found out it was Han Solo, I was pleasantly surprised. I was like, "Ohhhh! I should've seen that coming!" Also, some people might've been a little confused by the continuity with the other movies, such as George Lucas escorting Vader off set, or Darth Vader in the Clone Wars (or whenever it takes place. I say it takes place between Episodes III and IV). But to me, that only enhances the film. I'm pretty sure it isn't cannon with the rest of the series anyway, so all the continuity mistakes in the world wouldn't hurt it a whole lot. I liked how Han Solo knew Yoda as a kid, and how on Hoth, an Imperial Walker just comes out of nowhere. That's another thing I like about this: It isn't just another Star Wars installment; it was like a tribute to all of Star Wars as a whole, which I admire. And the places where this special really shines is the humor, and the animation. The humor made me laugh out loud. The part in the beginning, Episode IV style, I thought that was a great joke. And the part where Yoda's like "The Force allows me to see what is not seen" or something like that, and the Destroyer droids just appear out of nowhere, that made me almost drop to the ground with laughter. And a lot of other small moments made me happy too. The animation is superb as well. A lot of times, the Lego looked pretty real. One moment that stands out in particular with this, is when they first appear on Coruscant. The Lego all looked fantastic. And for a few seconds, it felt like I was watching the actual movie. So as a whole, I have nothing bad to say about the special itself. It's easily the best Lego short ever to air, and it pays tribute to the entire Star Wars saga in some way. I say George Lucas had a major home run with this special, and it was eventful when it aired on Cartoon Network. However, there is one bad thing I have to say about it though. I don't like how this was only on once, and never aired again. I say it needs to be aired at least a few times a year or something, or maybe for big holidays. I don't own it on DVD or Blu Ray, but next time I go to Wal Mart, it's the first thing I'm picking up. So all in all, It's the best TV special to date, and it deserves more attention than it has. Solid 10/10. I am not a fan of Star wars and I have never really played with Lego, so may expectations for this film were fairly low. And that's also how it turned out to be. I did not find the story fascinating, the main antagonist was fairly forgettable and the characters didn't do much for me either, maybe apart from Yoda who was fine. Also the voice acting in here did not really impress me much. I have seen much better. The director here was a visual effects artist on the "Lord of the Rings" movies and the writer is mostly known for his work on "The Simpsons". interesting combo. 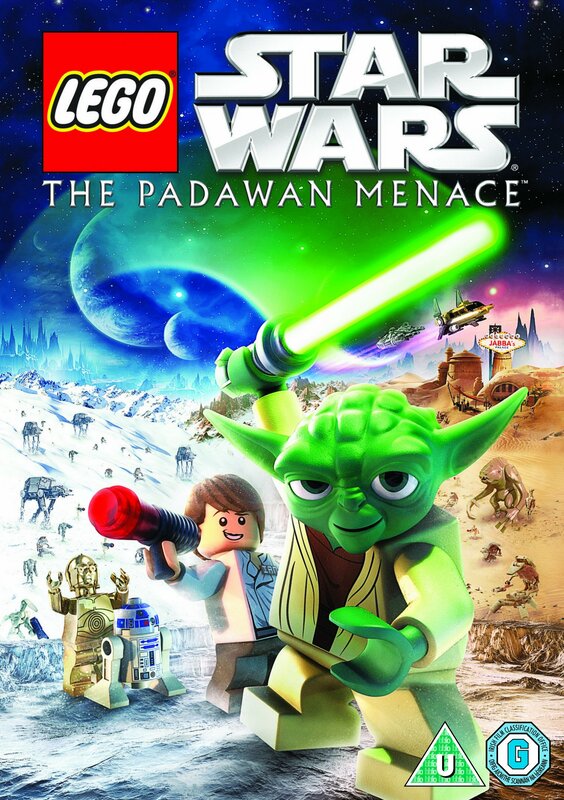 In any case, if you like or even love one of the two core components from this film (Lego or Star Wars), then maybe you should check it out and will possibly have a much better time watching. Still, don't expect too much. This is not a great film by any means, but at only slightly over 20 minutes it's somewhat bearable I guess. Not recommended.